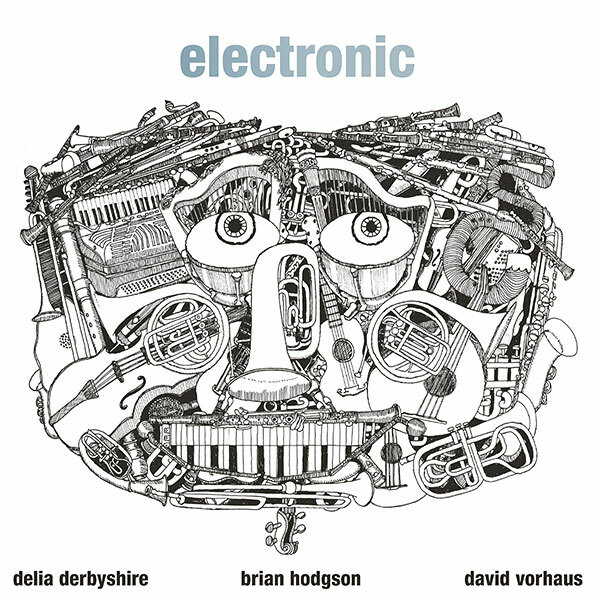 Originally released in 1969, this LP features music by BBC Radiophonic Workshop members Delia Derbyshire and Brian Hodgson alongside David Vorhaus, an American born composer and musician with whom they formed the experimental electronic band “White Noise”. It was put out by the Standard Music Library label, set up in 1968 by Bucks Music and London Weekend Television, which supplied production music for use in TV, commercials, radio and film. Many of these tracks were used in the 1960’s cult TV show, “The Tomorrow People” and each one has a short description of the music after the track title. Both Derbyshire and Hodgson assumed pseudonyms in the credits: Li de la Russe & Nikki St. George respectively. 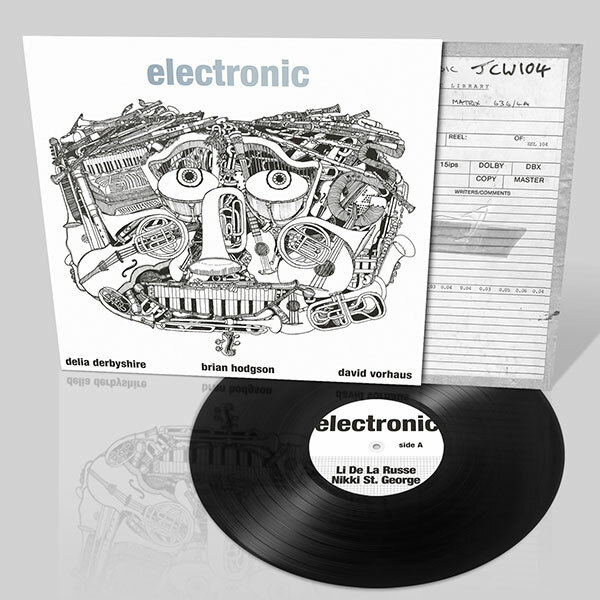 Two of the tracks are co-written by the pair, who also worked together to set up the organisation and studio project “Unit Delta Plus”, which was extensively involved in the promotion and exploration of electronic music.